We know that the standard sizes don’t fit all needs. For that reason, we create designs using 3D CAD models and 2D drawings for each non-standard products depending on customers requires. 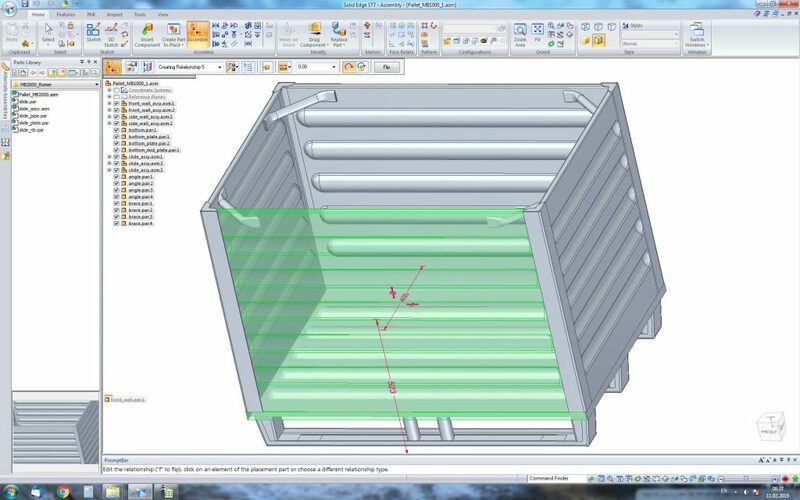 Our experienced design team is using SolidEdge software. We design and supply custom-made products in large and small quantities. But if you have your existing designs, we can manufacture them quickly and it will be cost-effectively too. One of the ways we are working is with prototypes. Prototyping a product is important because it provides a true test of the design. Additionally, we offer load testing on any designed product. That ensures that each product has the integrity to carry all loads, thus guaranteeing the longtime exploitation of all products, which are within our CE mark accreditation. Load testing is available on all products. Just call us or send a sketch, details or image with technical parameters and we can design the perfect solution for your needs and requirements.